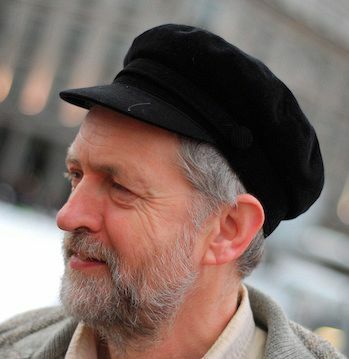 A recent poll in the UK has socialist Jeremy Corbyn 32 points ahead of his closest rival for the Labour leadership post, up from a 17-point lead three weeks ago. Report by Deirdre Fulton, staff writer, Common Dreams. NEW POLLING in the UK shows longtime left-wing lawmaker Jeremy Corbyn, a leading anti-war and anti-austerity voice in the UK, surging toward victory in his quest to become leader of Britain's opposition Labour Party. "Is there anyone now who honestly believes that Jeremy Corbyn isn't on course to win the Labour leadership election?" A YouGov poll conducted for London's Sunday Times has Corbyn 32 points ahead of his closest rival, up from a 17-point lead three weeks ago. Corbyn, 66, has sparked an enthusiasm in the UK that has garnered comparisons to Podemos in Spain, Syriza in Greece, and the presidential campaign of Bernie Sanders in the U.S.
Mosler on why Corbynomics is the way forward and austerity a dead-end. Such "Corbynomics" have led establishment politicians and media to downplay or outright dismiss Corbyn's candidacy. Alastair Campbell, Tony Blair's former spokesperson, haswarned Labour risks "driving itself off a cliff" if Corbyn is elected. Voting opens Friday, by mail or online, and continues for about a month. Dues-paying party members are eligible to cast ballots, along with members of affiliated organizations and anyone who wants to pay a £3 ($4.70) fee. The results of the contest will be announced September 12. MP Jeremy Corbyn says Iraq war illegal, Blair must divulge details of 2002 meetings with George W. Bush by Andrea Germanos, staff writer 5 August 2015. Labour leadership hopeful Jeremy Corbyn, a left-wing MP who's leading the polls, said that former Prime Minister Tony Blair could possibly face war crimes for his involvement in the Iraq war. "I think there are some decisions that Tony Blair has got to confess or tell us what actually happened in Crawford, Texas in 2002 in his private meetings with George Bush,"
@Independent With John Howard under one arm and GW Bush under the other! The main story was originally published in Common Dreams on 11/8/15 and has been republished under a Creative Commons licence. Keep you eye on the ball. Subscribe to IA for just $5.